Internship opportunities are great for employers and employees, but far too many companies either don't offer internships or hire too few interns. 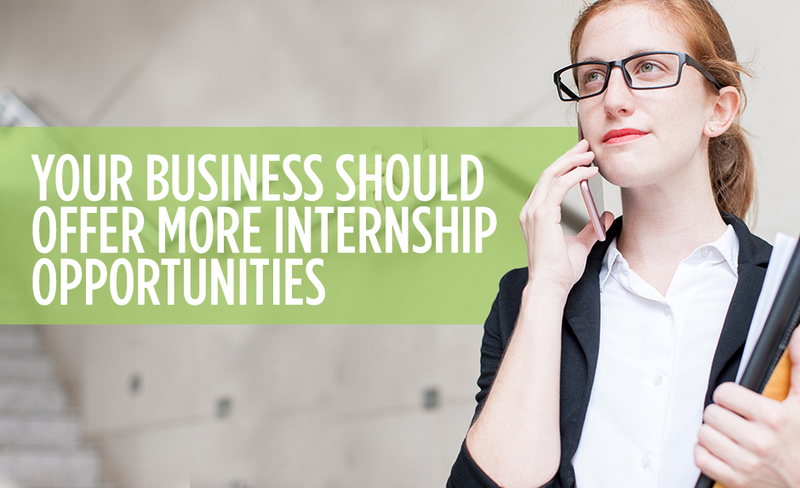 If your business doesn’t already have a robust internship program, you could be missing out on a great opportunity for your organization. The chance to hire top talent when they're still young. If you can give talented candidates their first job, they are much more likely to value the opportunity your company gave them and to stay with the organization as their skills develop. You can mentor and mold talented young minds to become tomorrow's leaders within your organization while benefitting from fresh perspectives of bright young people who have a lot to offer. An internship position provides low costs for your company and a valuable learning experience for an intern. Hiring interns can cost far less than bringing in full-time experienced staff members, and young people are often eager to work hard and learn as much as they can. Interns also benefit from the chance to learn, so you're not taking advantage of their work ethic and knowledge. It’s a reciprocal trade of their commitment and passion for the knowledge your company has to share. The opportunity to create a connection with the college the intern is coming from. When you have a relationship with a college, the career counselors working there can learn the types of talent your company is looking for and can send top candidates to your organization rather than to your competitors. These connections can also help your company when you want to hire more experienced candidates because the career office can tap into their alumni network. Eastridge Workforce Solutions helps companies create a comprehensive plan for hiring qualified staff members and for building the strongest possible team to help their business succeed. If you are interested in finding out how our staffing service can help match your company with candidates at all different skill levels, give us a call today.